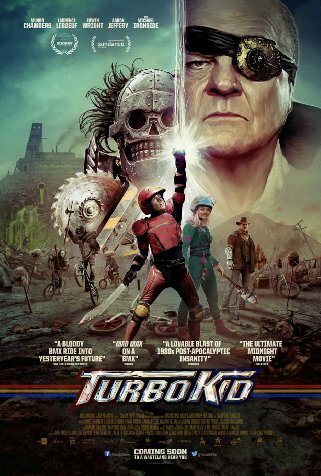 If you've been reading this site for a while, then you'll know that I am mega excited - like pants wetting-ly excited - for Turbo Kid. Releasing on August 28 in selected theaters (US) and on VOD. Here is a clip from the aforementioned film. The film stars Munro Chambers, Laurence Leboeuf, Michael Ironside and is written and directed by François Simard, Anouk Whissell, Yoann-Karl Whissell.